CR2 is a RAW format generated by Canon digital cameras. Not all image viewers have the capability to open a CR2 file so you need to convert it to a portable format like JPG before being able to open it using the regular image viewer you usually use. There are a bunch of tools you can use to convert a CR2 file to JPG in Linux. Linux has never had a good reputation in handling RAW files as Adobe never opened Photoshop and Lightroom to this platform. However, it doesn’t mean that you can’t use Linux to open or edit a RAW file. Darktable is one of the best tools to work with RAW files in Linux, including CR2. However, this tool is bit complex to use, especially for new users. If you just need to convert a CR2 file to JPG without making any edit, you can use the following tools. Shotwell is a popular photo management for Linux. 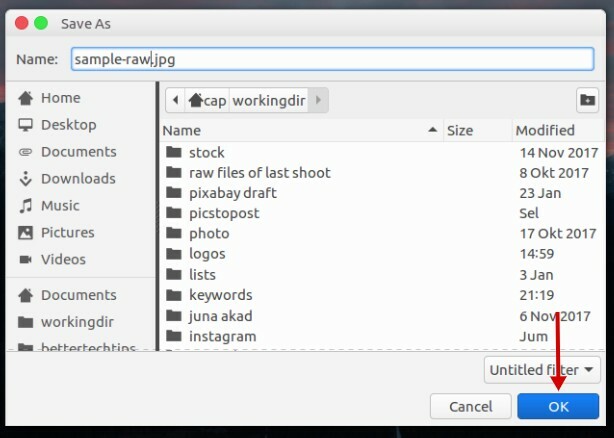 This tool is used by popular distros as their default photo management tool. Ubuntu is one of those platforms. In addition to managing photos, you can also use Shotwell to convert a certain image format to another format, including CR2 to JPG. Right click on the CR2 file you want to convert and choose Open With –> Shotwell Viewer. 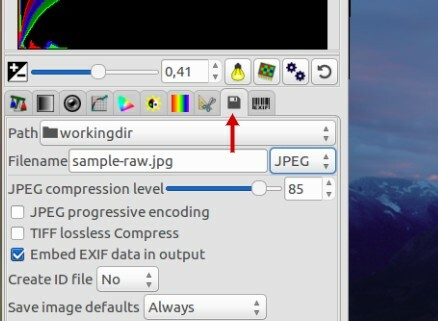 On the dialog window, select JPEG on the Format section and click the OK button. Name the file and click the OK button. UFRaw, stands for Unidentified Flying Raw, is a cool tool to handle a RAW file. You will be asked to choose a RAW file first before being able to use this tool. UFRaw has been available on the software repository on popular distros. If your distro hasn’t added it, you can download the UFRaw package from its official site. 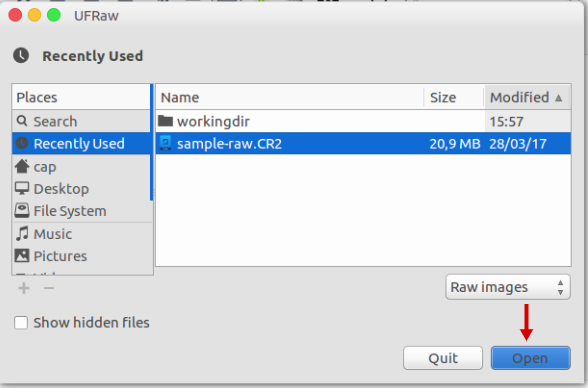 Launch UFRaw and select the CR2 file you want to convert. Switch to the Save tab. Specify the path where you want to save the converted CR2. 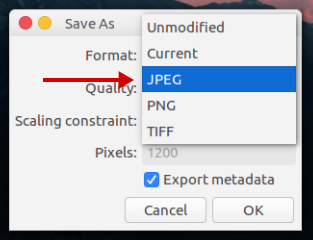 On the Filename section, name your file and change the format to JPEG via the available dropdown menu. Click the Save button that is located at the bottom-right corner. 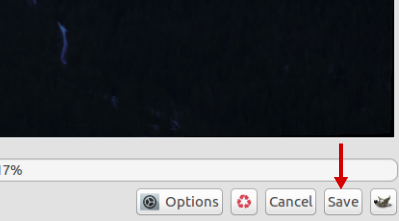 Or, you can also click the GIMP icon if you want to make further editing. GPicView is the default image viewer for LXDE desktop environment. This tool also has a capability to convert a wide range of RAW formats inlcuding CR2. 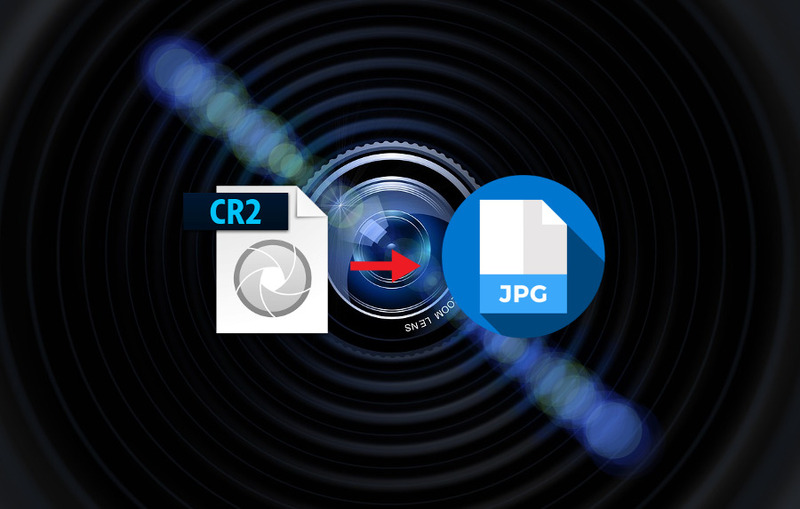 Open the CR2 file you want to convert to JPG with GPicView. Click the Save File As button at the bottom. 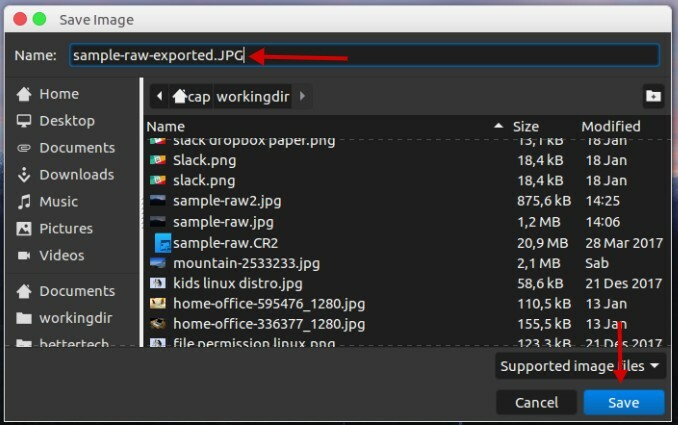 On the dialog window, change the file type to JPEG. Name your file with the suffix of “.JPG” (ensure to add the suffix) and click the Save button. 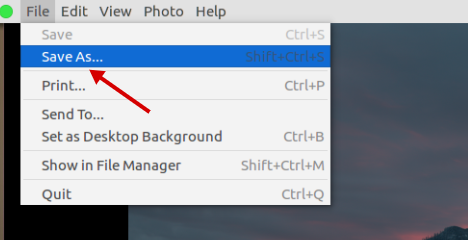 As the name suggests, GNOME Image Viewer is the default image viewer for GNOME desktop environment. Same as GPicView, this tool also has a capability to convert a CR2 file to JPG. 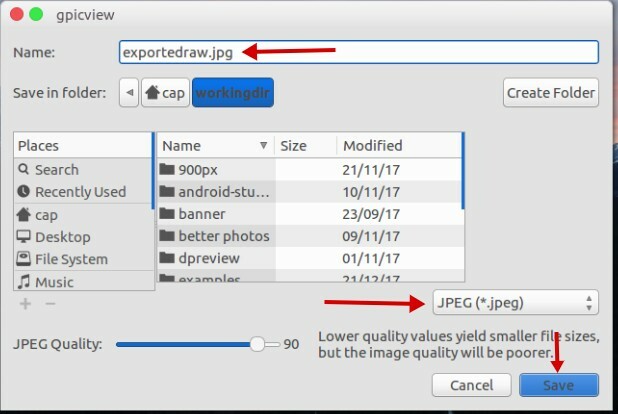 Open the CR2 file you want to convert to JPG with GNOME Image Viewer. Click the Image menu and select Save As. 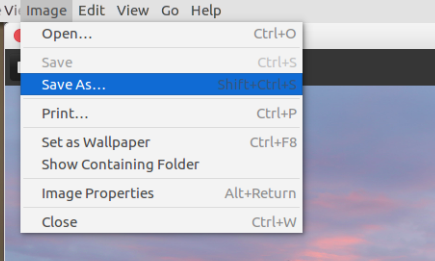 On the dialog window, name your file with the suffix of “.JPG” (ensure to add the suffix) and click the Save button. Note: All examples are are performed on Ubuntu.